Montebello Mom: Chuck E. Cheese Online Skeeball Game: Free Tickets! Chuck E. Cheese Online Skeeball Game: Free Tickets! 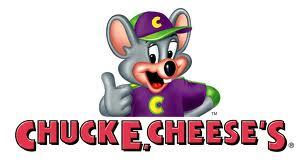 Click here to play a fun online version of Chuck E. Cheese's Skeeball game. Play over and over again and until you get your best high score. When you are happy with your score, print out the voucher for the number of tickets earned, up to 40, and take it with you on your next trip to Chuck E. Cheese! The fine print says, "1 Free Ticket Reward print out can be redeemed per child, per day." Combine the online tickets with the free tokens offer,where you can print out certificates for being a great student, potty training and more! Have a great time at Chuck E. Cheese!